A 100% blend of Lemon, Scotch Pine, Rosemary & Lime. A energising mix of citrus and uplifting pure essential oils. Can be used in an oil burner, in the bath or mixed with a carrier oil for an all over body massage. You may also add this blend to our rangeof base products (Foam Bath, Shower Gel etc). 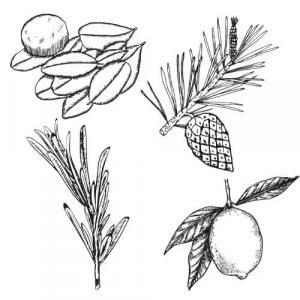 Ingredients: Citrus limonum, Pinus sylvestris, Rosmarinus officinalis, Citrus aurantifolia.